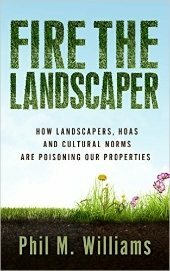 when I first read the book title, I thought it was Fire.....the landscaper. As in using fire as a landscaping tool the way some native cultures did for many years. I thought the same when I read it. Here in Australia, fire is a destructive landscaper indeed. Celeste Solum wrote: We make a rose wine that is heavenly and also a rose-ginger soda. ! I am just starting the no 'poo experiment on myself...going to be an uncomfortable few weeks methinks . My twenty-one month old son is pretty much no 'poo as he used to put up such a fight if we tried to wash his hair . His hair looks great though, I don't bother trying to wash it nowadays, unless he has been in chlorinated water. I would be cautious about using essential oils on your toddler's skin, they are very concentrated and some oils, such as citrus, can make skin photo-sensitive. Check out gokhalemethod.com - I do the shoulder rolls regularly and they are very helpful. I also have her book and am working my way through it, I think it is helping my back pain and posture issues. I second the suggestion to work towards doing pull-ups - I have woeful upper body strength but have started exercises such as knee push-ups and dead hangs to get stronger. I definitely feel more stability in my upper body and core since starting this. Milking camels- great medicine and great pay? Hi Bethany. I am very inspired by what your family has done, it is similar to what my husband and I would like to do in future. I'm not sure that the problems with your siblings have much to do with your new lifestyle - it sounds like they are jealous of your good relationship with your parents. Perhaps your parents could talk to your siblings and emphasize how much love they have for all of you, and how worrying it is to see their children fight amongst themselves. Best of luck with the homestead, and with the family relations. A related use is to float part-filled plastic bottles in your dams to reduce evaporation. I recall reading about a farmer here in Australia who did that as it was the only economical way he could minimise losses to evaporation. Compost got too many worms? #1 - too many worms. The heap is incredibly full of compost worms - could they be eating the newly added materials before they have time to heat up? A lot of the stuff I add has started to decompose so I imagine it looks like heaven to the wriggly beasts. 2# - it's winter. It is a big heap, more than a cubic meter, so should have enough mass to self-insulate, but maybe not. However, it was winter when I originally built the heap, and it got as hot as 66 degrees Celsius, so would surprise me if the outside temp is the problem. 3# - lower layers are quite compacted. The bottom thirty centimetres or so is quite compacted and much damper than the rest of the heap - could that be sucking heat away from the top parts of the heap? The pictures look great - impressive greenery in a region with such low rainfall! 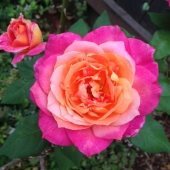 Could you write a little about what plants you are growing, what techniques have been used to restore the farm? Are those irrigation channels in the last picture?